The problem with writing browser extensions has, traditionally, been the problem of webdevelopment itself - how do you manage changes, build templates, architect your data etc. Well, it turns out, you can write Chrome extensions in React! And it's beautiful. This week I want to give you a few pointers on how you can start writing your own Chrome extensions in React. We'll start by sharing a video tutorial by Tyler Shaddix, who talks about building Redux-based Chrome extensions. Then I'll share boilerplates and tools for starting you own, and finally a few example extensions that can show you real-world examples. Be sure to checkout the code for redux-devtools-extension - it's a super handy utility if you use redux and it shows the power of what's possible. 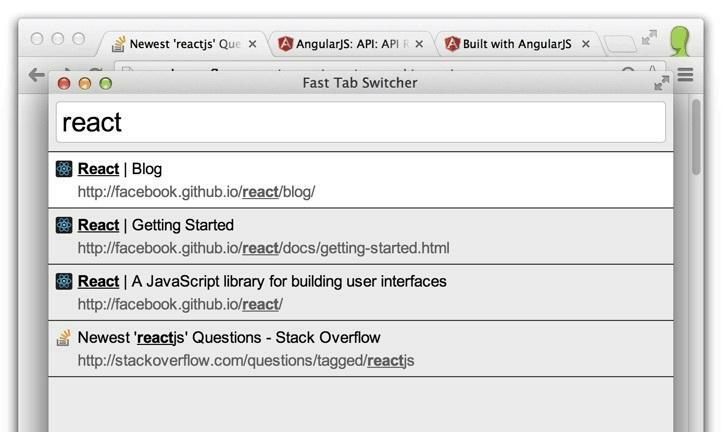 This is a talk by Tyler Shaddix, the author of react-chrome-redux (below), where he teaches you how to create Chrome extensions with React. There's also a repo of example code from the talk. This project is a set of utilities for building Google Chrome Extensions with React+Redux. 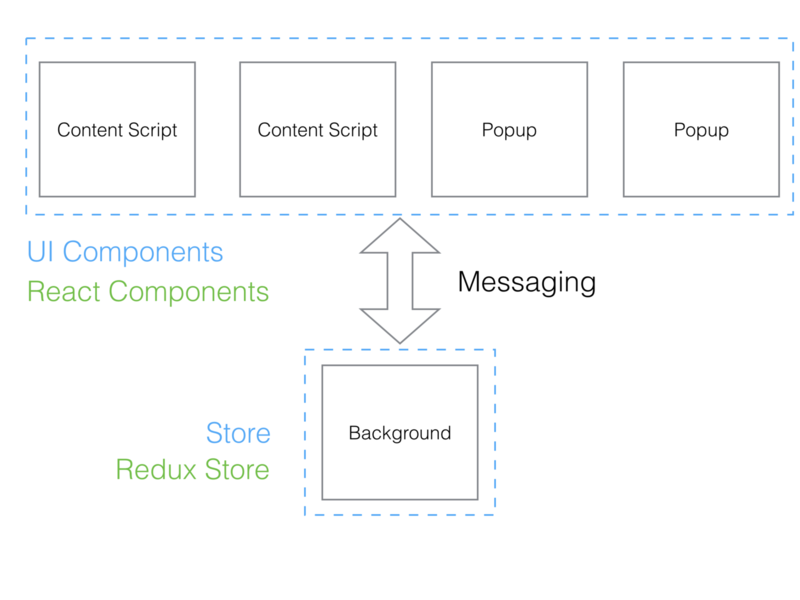 The idea is that it adds a proxy store that mediates between redux and Chrome UI components. Getting everything setup for a new Chrome extension can be daunting, but this project makes it easy. 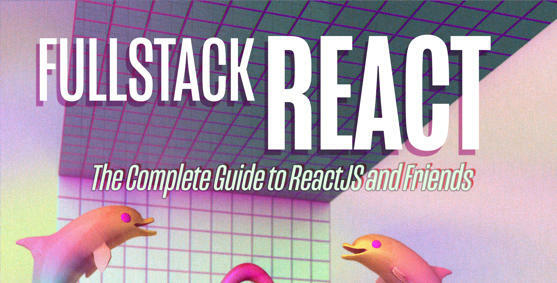 You can use this project as a boilerplate for your React + Chrome extensions. Here's another example React-based extension. 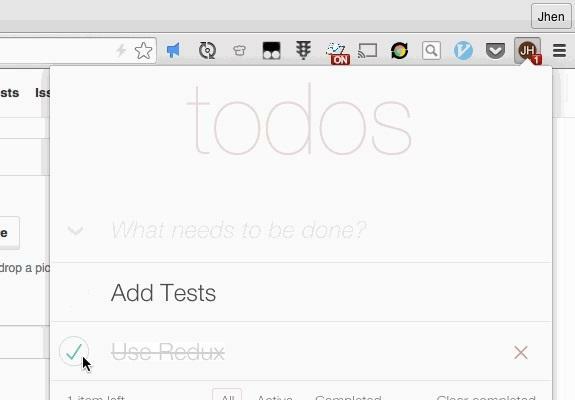 This one lets you quickly switch to other open Chrome tabs with just your keyboard. This extension is a fantastic devtool for writing redux applications. By using it you can inspect your state, use it remotely on mobile, and even debug your production apps! Not only is this tool super handy, it's also a great example of how to write a killer Chrome extension.